Full repair service on all Monsoon Universal 1.5 bar positive head Twin sided Pumps. We offer a same day repair service in your home or at our workshop. 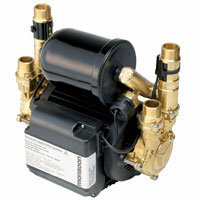 We also recondition Stuart Turner pumps to a very high standard, Stuart Turner Monsoon & Universal Pump repairs Dublin. We can repair your Monsoon pump in your own home or you can bring it to our workshop where it can be fixed while you wait.